Who doesn’t like eating out? No matter how tasty or delicious home cooked meals might be, once in a while we all enjoy going out to grab a bite. It’s not just the different dishes or the exotic sounding food that attracts us, but it’s the whole dining experience we find alluring. The whole combined experience of getting dressed up, going out to a restaurant to eat that appeals to us. Restaurants know this very well and that’s why some of them go above and beyond in giving you a unique experience. You go out and spend some money and these restaurants make sure it’s worth every penny. With unique themes and concepts, an exciting night is just an air ticket away. A concept restaurant now a range in Europe, Australia, L.A and New York, it was first established in Canada. 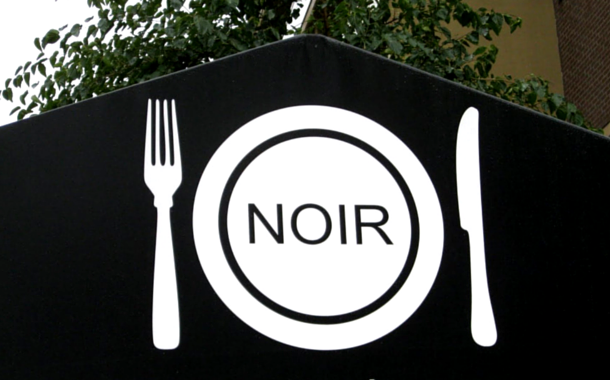 This restaurant gives you an experience of eating in the dark; and by dark we mean complete pitch black dark. You’re not allowed to carry any form of light be it mobile phones or watches inside. Your servers and waiters in the restaurant are blind people. The entire culinary experience gets heightened as your sense of smell, taste and feel are on an overdrive due to lack of sight. You feel the food by your hand and eat according to your hunger and not because you have to finish the plate. But the biggest feat of this restaurant, it helps feel the world the way blind people do, even if it is only for a few hours. Yes, this restaurant experience sounds a lot like its name suggests. So, does it mean you sit on a toilet and eat your food? Well kind of, the seats are designed like your toilets and so are containers in which the food is brought to you. It might sound icky, but it’s really not. The food is delicious, and this concept is spreading like wildfire. 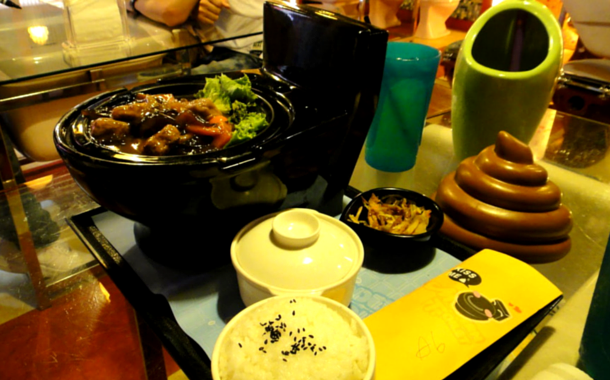 We all occasionally sit on the pot and think, or read newspapers or books, might as well add eating to that list. Remember the really cool zombie movie Shaun of the Dead? Well this bar in Minneapolis draws its inspiration from it. 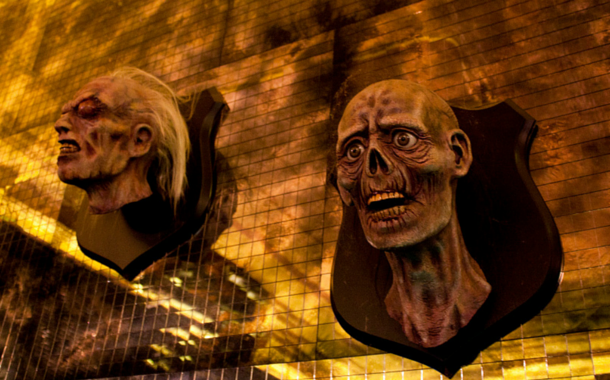 The décor has zombie heads mounted on the wall, with the occasional skulls lying around. The bartenders and servers are dressed like Shaun from the movie, white shirt and a red tie, oh and did I mention, with splashes of blood! If the undead are what excite you, then you have to visit Donny Dirk’s. Who knows if we’ll ever get to experience the real zombie apocalypse, till then you can satisfy yourself at Donny Dirk’s. This restaurant is slightly, okay majorly eerie and not for the faint hearted. Upon entering this dim lit restaurant you have to find your way through the cold hallways where you can hear occasional screaming that will creep you out of your skin. You turn around corners in this restaurants to find dummies strapped to chairs in jail cells, and other scary things awaiting. You can even hear little kids screaming when you visit the bathrooms. Cocktails have names like drug addiction and electric shock to keep up with the theme. 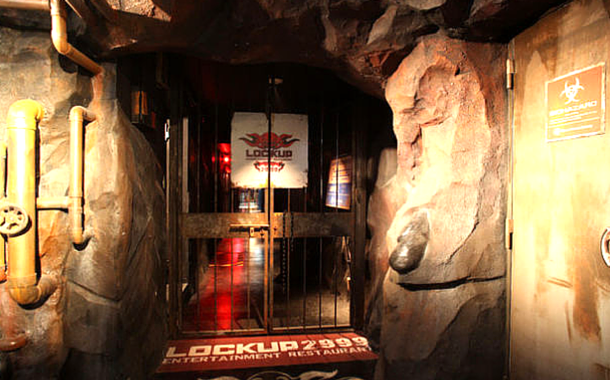 You might even be handcuffed and led to your prison styled table for a meal. Slightly expensive, but who’s complaining when you get a thrilling prison experience without having to actually get locked up. Remember the sci-fi movie Aliens, well H.R. Giger was the mastermind behind the stunning Alien design and visual effects. A famous surrealist painter and set designer as well, he has a museum dedicated to him in Switzerland and next to the museum is the Giger themed restaurant. 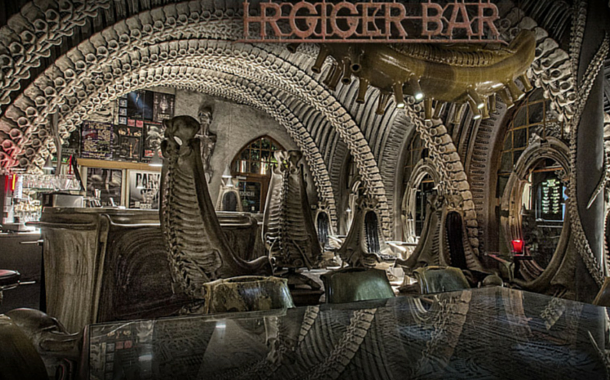 The skeletal alien like futuristic interior and décor of the bar will transport you to the world of Ridley Scott’s Alien. You can witness this spectacular restaurant for yourself by going to Switzerland with our Europe Tour Packages. 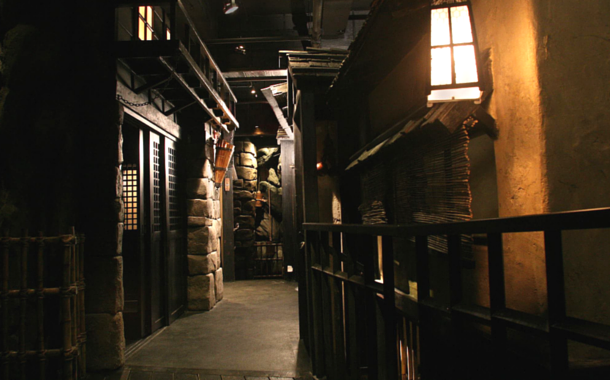 This restaurant lets you experience Japan in New York, and not just any Japan, but a 15th century feudal styled village. The servers at this restaurant are Ninjas. Yes, you read it right, Ninjas dressed in complete black greet you, occasionally bowing, tumbling and performing tricks to give you an authentic Japanese village feel. The food here is a typical meal of sushi and sake to go with the theme. This is a traditional Japanese styled Sake restaurant, but what sets it apart from others of its kind is that the servers are two monkeys. 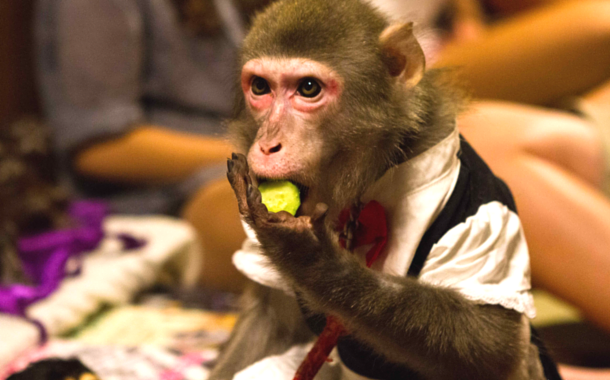 Yes, two pet macaque monkeys are trained and are dressed up in shirts and shorts and take orders. You can tip these monkeys with soya beans at the end of your meal. A dining experience you’re definitely not going to forget for a long time to come.